Keep foods fresh and perfectly chilled with a wide variety of refrigerators. Find a fridge configuration that fits your home and culinary needs. Models offered include side-by-side, french door, bottom freezer and top freezer. Built-in refrigerators can be installed flush with cabinetry for a streamlined look across the kitchen. A few counter-depth refrigerators are freestanding, allowing them to be placed as stand alone unit or into cutouts without sticking out among other appliances. Choose from stainless steel, black stainless steel, and an assortment of color finishes. You can even have them match custom cabinetry with panel ready refrigerators. Full-size refrigerators, such as combined refrigerator only and upright freezer units, can have up to a large total capacity of 44 cu ft. With that much room, you'll be able to fully stock a week's worth of meals for a large family household. If your grocery list isn't as grand and space is limited, top freezer models can be as slim as 19 inches wide with up to a 4.8 cu ft capacity, perfect for apartment kitchens. You no longer have to compromise storage space between beverages and produce in the main refrigerator. Compact refrigerators can easily be installed undercounter as an extension to your refrigeration system. Their modest size can be as small as 15 inches in width, along with joint refrigerator drawers that stretch up to 48 inches wide. Many are freestanding so they can be placed almost anywhere for easy accessibility. Complement your bar area or outdoor kitchen with beer dispensers. Select dispensers have dual taps, allowing you to serve 2 types of beer at the same time. They can accept full, quarter, half, and 1/6 size kegs. Even with rich features such as humidity controlled crisper drawers, door alarms, odor free cooling system, automatic defrost function that store foods with the highest standard of care, you won't have to worry about excess energy consumption. 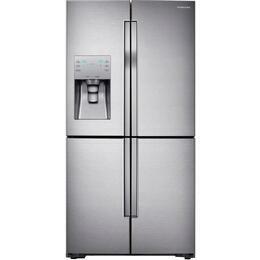 Many refrigerators are Energy Star rated, extending the freshness of foods without harming the planet. Appliances Connection carries the best models from top brands such as Samsung, Sub-Zero, Whirlpool, LG, and more. 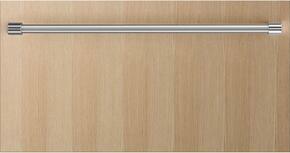 Purchase any Liebherr Refrigerator and receive $250* toward the purchase of any Undercounter. Visit www.premiumappliancerebates.com/Rebate/liebherr/best to complete and submit the online form. *offer is applicable in all states except for Alaska, Colorado, Hawaii, Idaho, Montana, New Mexico, North Dakota, South Dakota, Oregon, Utah, Washington, and Wyoming.